Every new mom fantasizes about the day when her adorable bundle of joy sleeps through the night. They dream of tucking in their sweet baby, then embracing their soft pillow and hugging it until the sun rises. In reality, they are answering the call of duty on a 3-hour cycle of screaming, feeding, burping, changing and rocking (probably a little crying too, from mom and baby). So Miss New Mom finds herself wondering in lieu of a solid night sleep (for the next 18 years), how can she create the illusion of a refreshed, alert appearance. 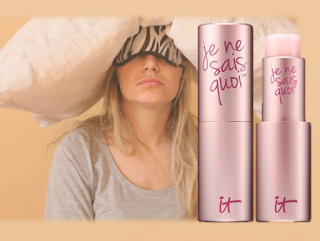 The secret is the latest Color-Infused Skincare line from It Cosmetics. As a new mommy, I can attest that it may feel that there's never enough time in the day for yourself. For personal and mental health reasons, it is important to make the time for mommy and engage in self-care practices. Don't give up on yourself! If you want them to say: "Is your baby sleeping through the night? 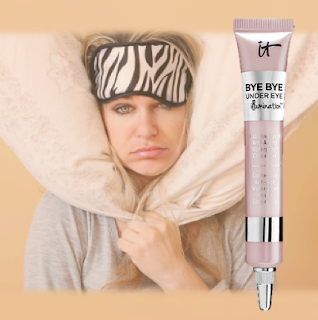 You look so refreshed"
This full coverage anti-aging waterproof concealer is like an 8-hour sleep in a tube. Apply it after your baby's 8 AM feeding, and rest assured it will stay put in between those power naps, body showers and blow out appointments (just kidding, you aren't making it to DryBar any time soon). We love that a few drops instantly brightens your under eye area supporting the illusion that you caught some Zzzzzs last night. Plus the formula is supercharged with anti-aging ingredients so it won't crease or budge. Keep your baby your top priority, but make it easy on yourself to feign some shut eye. You'll have the entire playground asking for the name of your night nurse. If you want them to say: "Did you feel comfortable leaving your baby with a sitter when you went to the spa?" Yes, it would be amazing to get a quickie facial to cleanse, nourish and hydrate your face, but you are a new mom and there is not time for that in the day. When it comes to your skincare, go for the KISS (Keep it simple, Stupid!) You need to invest in a single product that will undo all the day's makeup and debris without stripping your skin. This masterful multi-tasker hydrates, purifies and visibly reduces signs of aging skin, that you'll be able to pretend you stopped at the spa on the way to Mommy Group. If you want them to say: "How do you get your lips so kissable without gloss?" A mother's conundrum: you want to wear a lip product, but you don't want to get sticky gloss on your baby when you give her 500 kisses per day. The solution is simple - this hydrating lip treatment not only emboldens your lips with a delicate hue, but intensely moisturizes your pout. This nourishing product transforms your kisser building healthy lips for the sweetest baby kisses. Each of these secret weapons will help you become to the new you - a fiercely dedicated mother who can take care of herself and her baby. The best news is that It Cosmetics just launched at Sephora, so each of these products can be snapped up in your local store. Good luck fellow moms and let us know how you fared.